Located within a five minute walk to the city center, Aberdeen Harbour expects 28 cruise calls this year. The big news is the harbor expansion project continues which will allow large vessels to berth alongside by summer 2020, according to Matt North, commercial director, Aberdeen Harbour. “In 2018, Cruise Scotland estimates this will increase to more than 820,000 tourists who will visit the country on 812 cruise ships. Aberdeen Harbour plays an important role in growing these numbers even further, with the introduction of our direct alongside facilities,” said North. The expansion of the harbor will allow Aberdeen to become Scotland’s largest port in berth capacity, also offering a water depth of 10.5 meters, suitable to most large cruise ships. 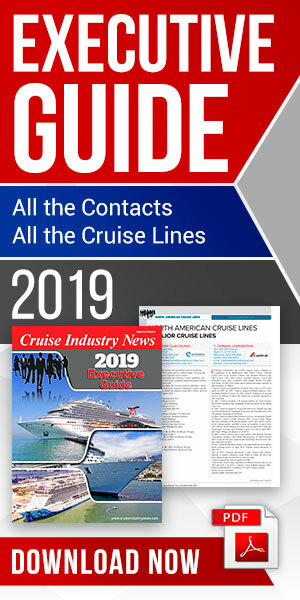 “In addition, we have partnered with a number of agencies, including VisitAberdeenshire, and local authorities, to create a project called ‘Get Ready for Cruise’, which supports and gives information to businesses on what the cruise industry is looking for in its destinations and how they can get involved to ensure the shore excursion experience is first class,” North added. Passengers heading ashore can look forward to more than 300 castles in the nearby area, 30 malt whiskey distilleries and some 60 golf courses. The city’s international airport will get an upgrade this year, and road construction will “speed up” travel across the region, North said. “Aberdeen Harbour is also located next to the city’s train station, which is directly connected to the country’s East Coast Main Line with direct services to all major cities including London,” he added.